FYI: Lucy and her band will be making their network television debut tomorrow morning (7am-9am eastern, 6-8am central, 7-9am pacific time) during CBS This Morning's Saturday Sessions. 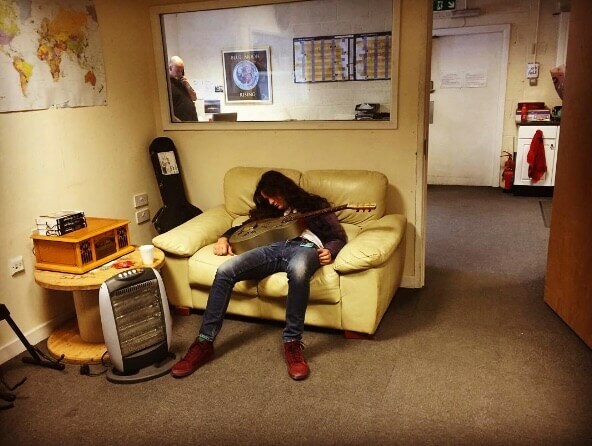 Watch this space for clips of the performance. This trip will bring the band back to Seattle. If you have not already seen the band's KEXP session from the last time they were in town, I suggest that you take the time to do so. Alright, we've got a bunch of new Car Seat Headrest shows confirmed (in bold, below) amidst an Summer/Autumn run that includes headlining dates and festivals alike. Some of the former are either sold out or getting there fast, so take action as you see fit. Self Congratulation Corner : Happy 10th Anniversary, Matablog! 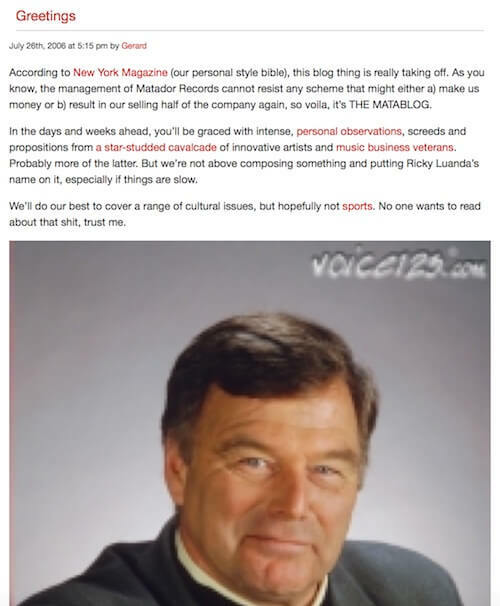 Ten years ago when Matador founder Chris Lombardi suggested we commence publishing a label blog, skeptics sneered. Wasn't this a bit like introducing color television in 1980? Or writing about a vinyl revival in 2015? I mean, just what are we doing around here, running a record label or LiveJournaling ourselves to death? Fast forward a decade later and the answer is clear as day : we're running a record label AND LiveJournaling ourselves to death. Next Tuesday marks the Matablog's 10th Anniversary, an incredible achievement considering the blog medium is deader than Dennis Miller's career and there's simply no way we should've been allowed to get away with calling it "Matablog" for ten minutes, let alone ten years. 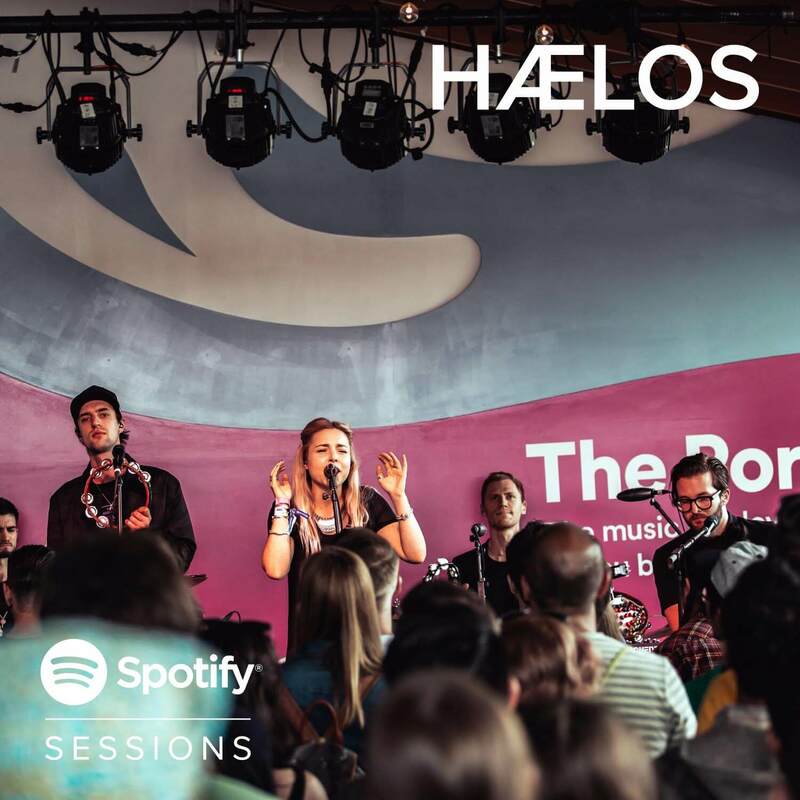 HÆLOS were busy to INSANELY busy during this year's SXSW (playing over 10 shows around Austin). Spotify recorded the band at their camp during that hectic week and today it's available for streaming. Mr Toledo joined forces with Minnesota's KCMP and Milwaukee's WYMS recently for a couple of sessions which you can listen to below. 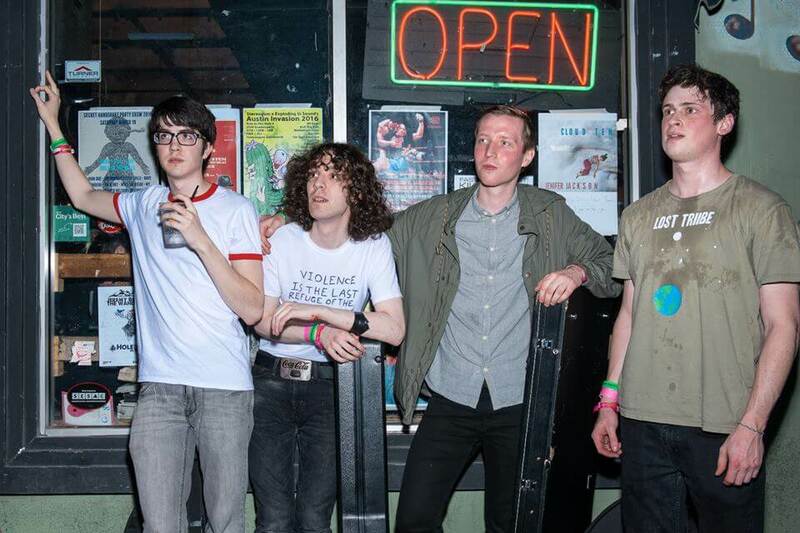 "Unforgiving Girl (She's Not An)"
Car Seat Headrest's tour recommences this Friday. All dates below. VIDEOS: Steve Gunn & the Outliners Performing On "CBS This Morning"
We gave you fair warning this was happening. Those who wake up before noon got to see it live, but for those who slept in, we have you covered anyway. You can see Steve Gunn & the Outliners perform on "CBS's This Morning" above and below. This was the band's television debut. Tomorrow : Steve Gunn & The Outliners on "CBS This Morning"
Steve Gunn & The Outliners, currently touring in support of Steve's 'Eyes On The Lines', make their network television debut tomorrow (7am-9am eastern, 6-8am central, 7-9am pacific time) on "CBS This Morning"'s Saturday Sessions. We'll be posting clips from the broadcast once they're available. Just a reminder for those attending this weekend's Pitchfork Festival in Chicago's Union Park that Savages are playing on the Green Stage Saturday at 4:15pm, while Car Seat Headrest are making their (domestic) P4K fest debut on the Red Stage Friday afternoon at 3:30pm. 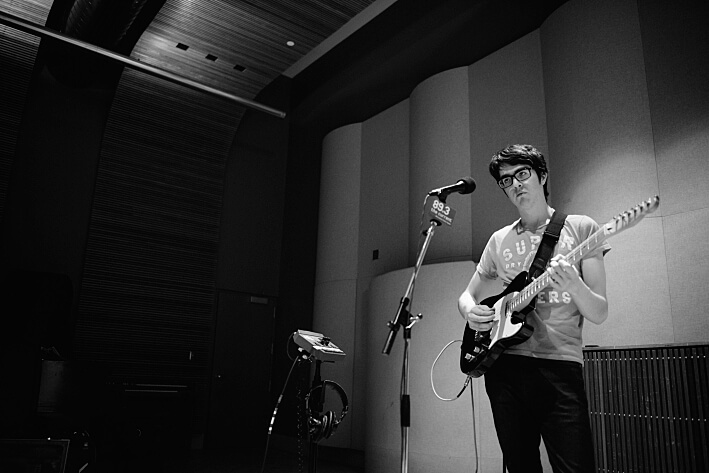 In addition, Car Seat Headrest are at the Empty Bottle Saturday night at midnight and while advance tickets are sold out, a limited number of tickets will be available at the door. 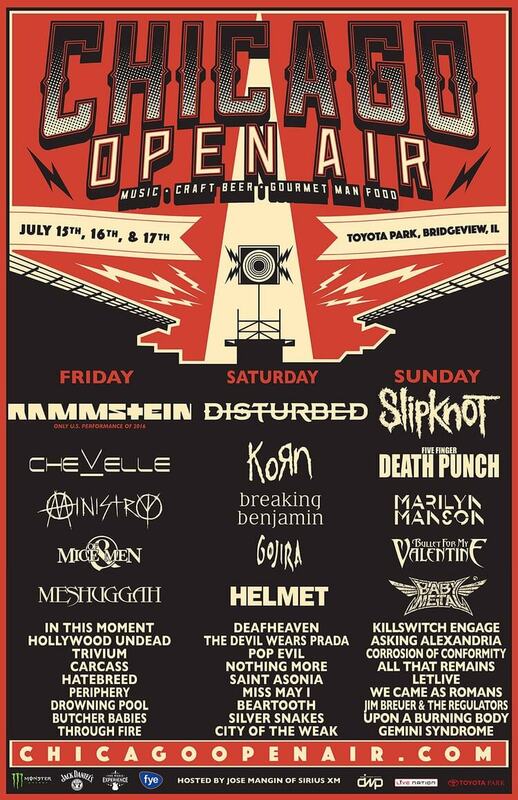 If the above events aren't to your liking, Disturbed, Korn, Breaking Benjamin, Drowning Pool, Asking Alexandria and some version of Page Hamilton's Helmet are taking part in a craft beer exposition in Bridgeview, IL this weekend. I'm told tickets are very much available (which is probably a familiar refrain whenever Drowning Pool are playing), so use that information as you see fit. 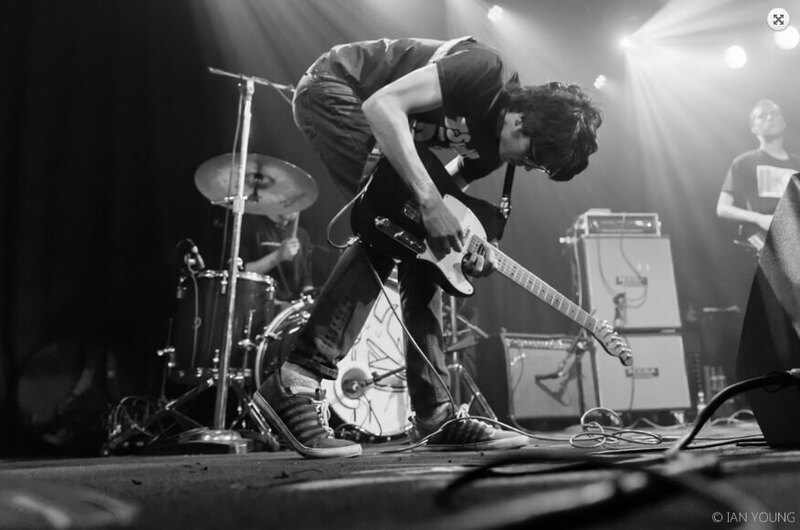 Amidst Car Seat Headrest's exhaustive-just-looking-at-it schedule this past SXSW, Spotify managed to record a set at their camp and today it's available for your enjoyment. LISTEN HERE. If you got an email from Spotify a couple weeks ago regarding a playlist contest, you're just like us and listen to Car Seat Headrest A LOT. Thank you to everyone who submitted a playlist (you are all winners), but this playlist by Chris Palafox got to snap up some pretty great prizes. Here is yet another teaser from Abra's forthcoming EP PRINCESS, which is out in the digital world through True Panther / Awful Records as of tomorrow Friday 15th July. The video for track CRYBABY was directed by Zaiba Jabbar. You can watch the clip below. Kurt has covered the Squidbillies theme song, an honor bestowed also to Father John Misty and Sharon Van Etten, among others. Listen to the theme below as well as take a look at a behind the scenes video. I had some pasture-raised goat from a small farm in Maine and decided to improvise this recipe, with a couple hints from online sources. It's as tasty as the photo suggests. Ensure that you have an ovenproof pot capable of holding the whole shoulder. An enameled Le Creuset-type pot works well for the purpose. Preheat your oven to 250F. If you have an oven thermometer, use it to check the heat since ovens are frequently off or variable at this low temperature. Salt the shoulder generously all over and grind fresh pepper over it. Heat the oil in the pot over medium heat until warm. Saute the onions and carrots until translucent. Remove from pot with slotted spoon. Increase heat to high and brown pork shoulder all over, holding with tongs if there are sides that won't sit on their own. Remove pork and deglaze pot with wine, scraping up all the brown bits with your spoon. Reduce heat to medium-high, add demiglace and stir into the juices until it more or less melts into them. Now put the cooked onions and carrots back in, along with all the other ingredients except the pork, and stir well. Add the pork with the meaty side down (bony side up - press it to test which is which), and cover with water (it's fine if parts of it stick out). Add some more salt and freshly ground pepper and stir well. Increase heat to high and bring to a _near_ boil. Place in oven with the lid ajar (important! ), and cook for 3-4 hours. KEEP THAT LID AJAR! Check occasionally to ensure that the liquid is simmering, not inert and not boiling. You may turn the meat occasionally if you wish, but keep in mind that opening the oven lowers the temperature each time. Most likely the goat will take 4 hours to become tender. Remove from oven. The meat should be easily pulled from the bone with a fork. If not, cook longer. Remove pork from pot and cover with foil. Strain sauce, reserving carrots, onions and juniper berries. Bring sauce to a boil over high heat, stirring occasionally, and reduce to about 3/4 cup to a cup max. It should be rich, dark and glossy. Shred meat, leaving some on the bones for the gnawers, and serve with reserved vegetables plus the sauce in a gravy boat - or just pour it over the goat. That's right folks. Steve Gunn will be returning overseas later this year to bewitch you all through the magic of the guitar. All new dates and ticket links listed below. He is currently on the road in the US with fellow Philadelphian's Spacin', and recently did a session on New York's WFUV. Check out Conditions Wild here. 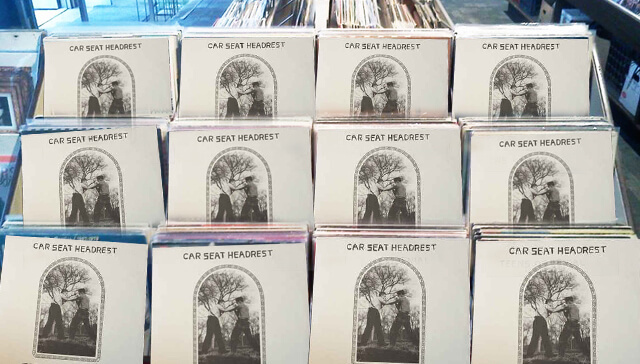 At the risk of being overly dramatic, our national nightmare of moderate length is finally over and the amended LP and CD versions of Car Seat Headrest's hotly anticipated / universally hailed 'Teens Of Denial' are either hitting your local record shop or your mailbox today (and if it's the latter, I certainly hope you ordered the CD, otherwise there could be some real problems cramming the LP inside). 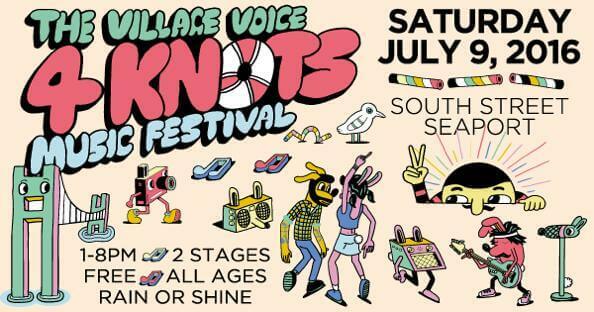 After taking Europe (or what's left of it) by storm, Car Seat Headrest kick off the next leg of North American touring with a free show tomorrow on Pier 16 of NYC's South Street Seaport as part of the Village Voice's 4 Knots Festival. Also appearing are Protomartyr and fledgling young hopefuls Guided By Voices (of whom we've heard promising things, apparently the main fella is considered somewhat prolific, you might even say 'Toledo-esque') and if you get there early enough, I'll be conducting a walking tour of the block former Matador receptionist Joe Gaer used to live on. The show is all-ages, though the walking tour not recommended for preteens or the emotionally immature.